Gamers have whined and complained, and now it has paid off. The extended endings for Mass Effect 3 are officially here. 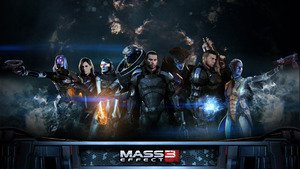 Pop open your copy of Mass Effect 3 and download the most recent DLC. Once downloaded you can access the new endings in one of two ways. ::SPOILER:: You can either A) Start at the assault on the Cerberus base to get the biggest bang for your buck or B) You can start at the point where you return ot the Citadel. From what I have heard they have gone all out and you will have to play the game differently to get all the different endings. So get out there, and save the universe several times!